There are some women out there that love the 9 to 5 lifestyle. They crave the career-woman way of life; thriving on a full day of work in lipstick and high heels, then seamlessly transitioning into mommy mode at the end of the day. They are the go-getters. The super-moms. They make it look easy. That woman is not me. Not by a long shot. I consider myself lucky to be able to be stay-at-home mom. Just as much as I know there are some women who would rather jump off a bridge than stay at home all day with the kids, there are plenty of women out there who would love to stay home, but can't for one reason or another. My husband is an amazing provider for our family, and although we are not rolling in the dough by any means, we live a comfortable life and I am extremely grateful for that. I try to help save money in our household when I can, seeing as we are working with a single income. One area where I can contribute to making the most of our money is with the grocery shopping. I'm always looking for a deal, cutting coupons, and trying to get the best bargains that I can find. While some might argue that it's hard to eat healthy on a budget, I think that it's possible to create meals that are nutritious and affordable on even the tightest budget. 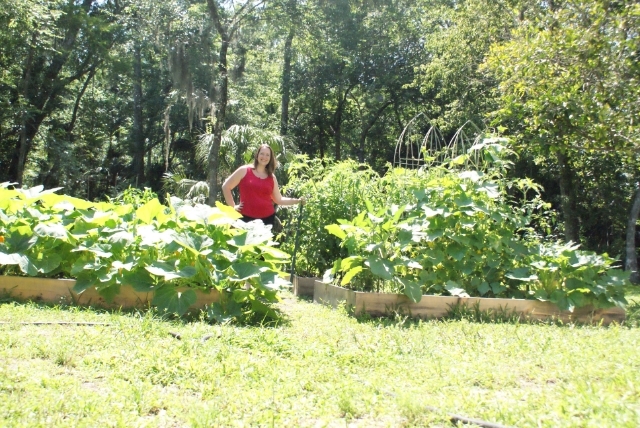 While it would be nice to grow all of the fruits and veggies my heart desires, I am no master gardener and I have my hands full with the four raised beds I've got going. As a supplement to what I grow, I'll often stock up on frozen and canned fruits and vegetables to help keep my family within our budget. That's why, when Libby's Fruits and Vegetables asked me to partner with them in their pursuit to help families solve their Dinner Dilemmas and Get Back to the Table, I jumped at the chance! Whether you are the career parent or a mom/dad who stays at home like me, coming up with nutritious and affordable meal ideas for the fam every morning, noon and night can be daunting (especially during back-to-school time when your whole world is flipped upside down with the chaos of adjusting to a new routine). 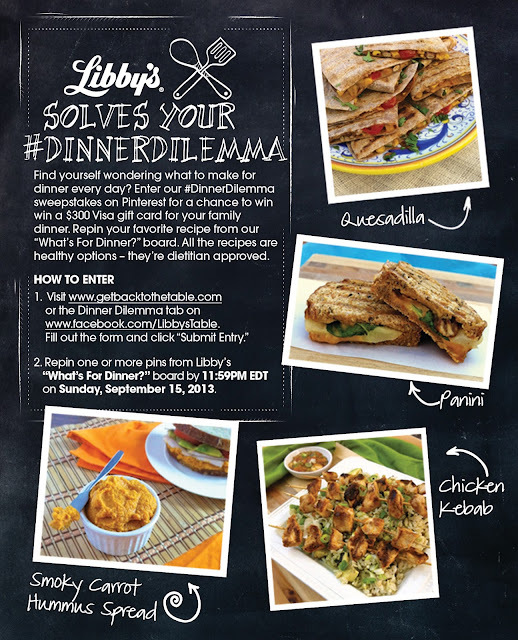 All through back-to-school season, Libby’s is teaming up with all sorts of experts to solve a busy family’s dinner dilemmas. Want convenience but also nutrition? No time for your weekly grocery run? Want a meal that’s high on flavor and great on value? Whatever your dinner woe, Libby’s has the solution for you. One less thing for you to worry about. As one of Libby's experts, I've come up with a fabulous breakfast idea using Libby's canned fruit that will keep your kids happy and healthy without breaking the bank (just over $1 per serving). The best part? 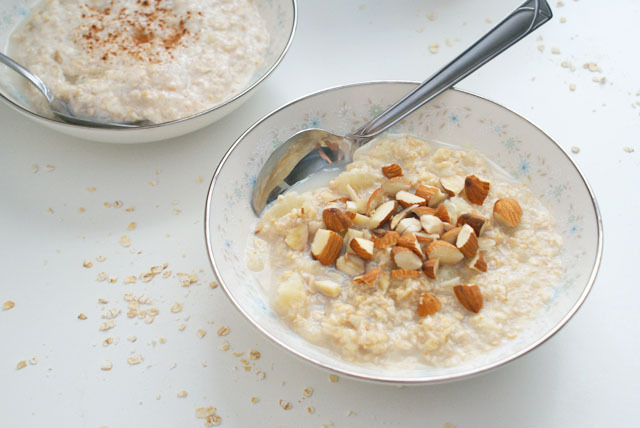 You prepare this tasty oatmeal ahead of time, which takes some of the pressure off of you during your already busy mornings. One version is reminiscent of fall flavors (perfect for this time of year!) using greek yogurt and cinnamon, while the other is lightly sweetened with honey and accented by the earthy crunch of chopped almonds. Both are amazing and both highlight the sweet delicious canned pears from the good folks at Libby's. Try them both! In a medium bowl, roughly mash the pear halves with a fork. Add all of the remaining ingredients to the bowl and stir until combined. Spoon into two bowls, tupperware, or small mason jars (if you're feeling trendy). The individual portions make breakfast a breeze. Refrigerate overnight and serve cold or warm it up. Whichever you prefer! As much as I know y'all love reading about making yummy food, I think we should move on to the subject of one of you winning an amazing prize! Yes? Okay. Let's do this. 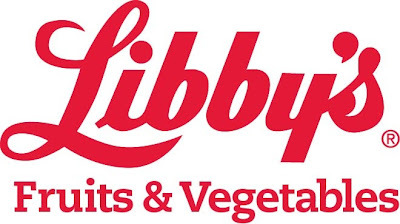 Libby's makes it really easy for you to get their tips and recipes! Find Libby's on Pinterest, Facebook, Twitter or GetBackToTheTable.com! And if you’re on Pinterest, don’t forget to enter our contest for a chance to win $300! I want to try the crock pot French Dip. Yummy! I haven't made that one in a while. I should fix that! That one is so easy, too. Let me know if you try it and good luck! I want to try that beef stroganoff! I hope I win!!!!! Absolutely love your recipes! !!!! Crossing my fingers!! My slow cooker is soooooo old!!! I'll cross my fingers for ya, Bobbi! Oops forgot to tell you that I want to try the beef stroganoff as well. It is one of my favorite dishes! Thanks for entering, Ann! Good luck! The crock pot french dip recipe has my mind spinning this morning. Should I go to the butcher today? I think I should! I want to make your Slow Cooked Beef Stroganoff and pinned it! (http://www.pinterest.com/pin/321444492124582617/) Thanks for the opportunity and best of luck to all those entering! Awesome! Thanks for the pin. Good luck! Thank you so much, Patti. :) I had a wonderful birthday! I looooove chili and I hope that you like it if you try it! I loved this fresh salmon dish from your pinterest pins! pinned! I would so love to make the Crock Pot French Dips! Yum! Yum! Yum! Looks like I am having problems with the rafflecopter. Each time the form is loading new and not accepting the entries. Could you please check it? Hmmm..let me check the entries and see if there are any from you.... Okay, I am showing five entries for you. Does that sound right? They're a great sandwich for lunch. If you try them, I hope you enjoy them! Good luck and it's my pleasure. I've never cooked a whole meal in a crockpot, I so want to learn... I've seen so many lovely recipes that I know my family would enjoy !!! Can't wait to try them all, a nice hot cozy meal in the winter, as well as not having to turn on the oven in the summer heat is such an inspiring thought !!!!! Hope I win... Thanks so much for the chance to win.. Now, on to pinning on your page !!!! Hi Cindy! 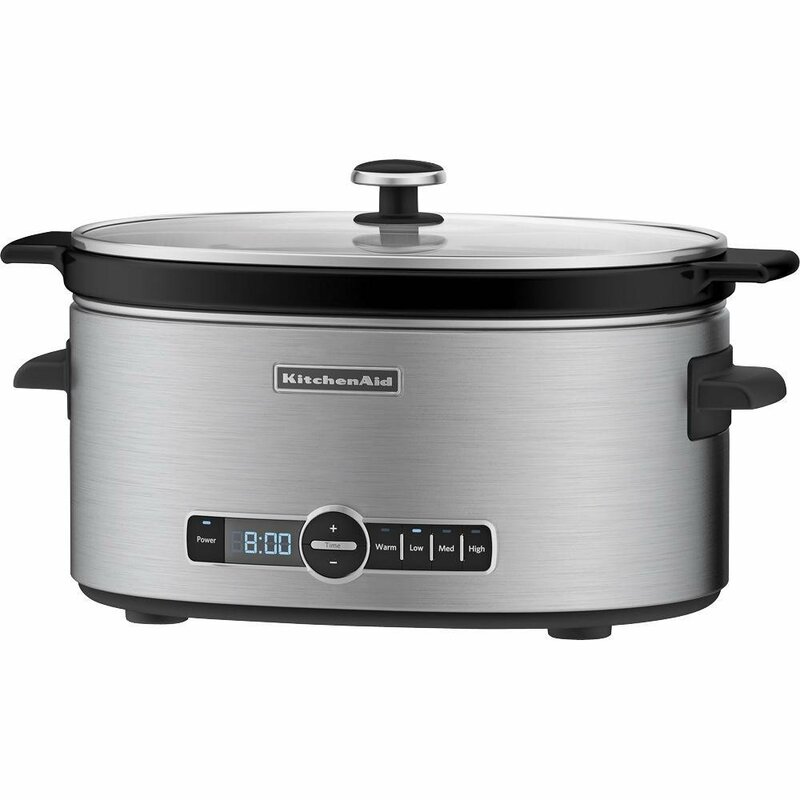 I LOVE using my crockpot to make meals for the fam. You should totally give it a go. Good luck and thanks for pinning! It's a tasty recipe and perfect for the slow cooker. Sounds like a plan! lol Good luck! 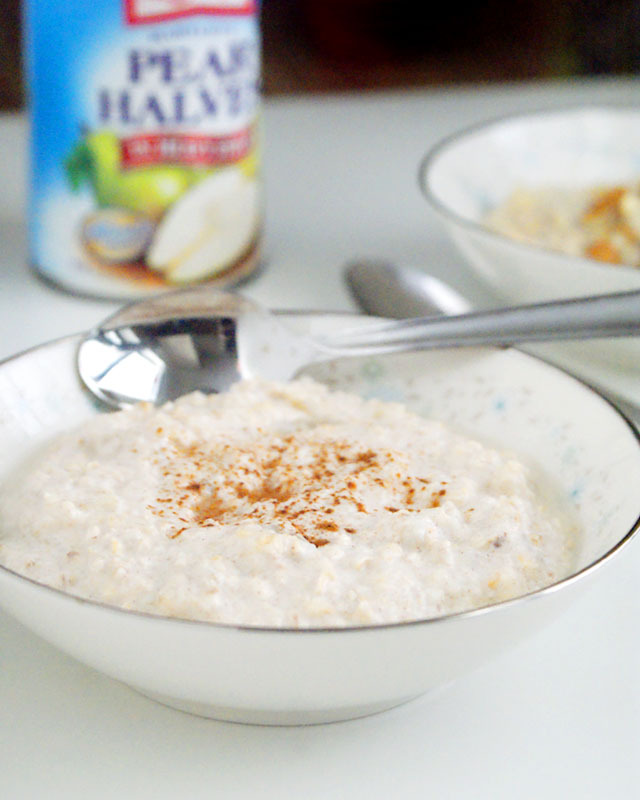 I want to do more than just dinners in my crock pot, so I'd start with the oatmeal recipe in this post! Crock Pot Shredded Barbecue Chicken or MeMe's Spaghetti Sauce with Meatballs & Italian Sausage and I will be browsing your other recipes - just found your page. Can you believe I have never ever used a crock pot! I have been researching them this week - I want one. Love your recipes, many of which are safely tucked away in my recipe box on ziplist. This giveaway has me soooo excited! I live in a retirement center where we have a potluck at least once a month. If I won that crockpot the first recipe would be the meatball and Italian sausage spaghetti sauce. I'm so glad to hear you are using ZipList! I just added their features to the blog and I'm loving it. :) I would love a once a month potluck! Very cool! If you try the sauce, I hope you like it. I got confused (again LOL) and am not sure if I am supposed to put my pin link for your yummy Chocolate Chip Banana Bread here or in the rafflecopter so I am doing both! I cannot wait to make it! Ah, sorry for the confusion! It's my first giveaway using pinterest options and I think I confused myself. lol. You're entries are in! It is almost that time of year! I would love to make your Classic Slow Cooker Beef Chili! North Carolina Style Pulled Pork. Reminds me of home. So sorry for the confusion! It's my first giveaway using pinterest options and I think I confused myself. lol. Your entry is in! Crock Pot French Dips sound good! I'd love to try your recipe for Slow Cooked Beef Stroganoff. My family loves pulled pork made in the slow cooker, too! I just made pulled pork in the slow cooker yesterday! Yum!! I pinned the recipe for your Maple Walnut Truffles! I would love to try the Crock Pot French Dip. Thanks for the opportunity to win the giveaway. I'd love to try the North Carolina Pulled Pork! I would love to try your swedish meatballs! I think these would be a huge hit at my house. http://www.thetwobiteclub.com/2011/05/crock-pot-french-dips.html I would do the crockpot french dips- that looks good! btw-I am ellen beck on rafflecopter- this didnt give me many choices to post with what name. I would love to try the Easy Peasy Pulled Pork. I love pulled pork sandwiches and it doesn't get any easier than this recipe. Thanks! The crock pot french dips sound wonderful! I was just looking at Target for a crock pot. My "vintage" one finally gave out! I am dying to try the pear and honey oat mail. Looks awesome!! !